The weight listed, 5kg, is approximate. 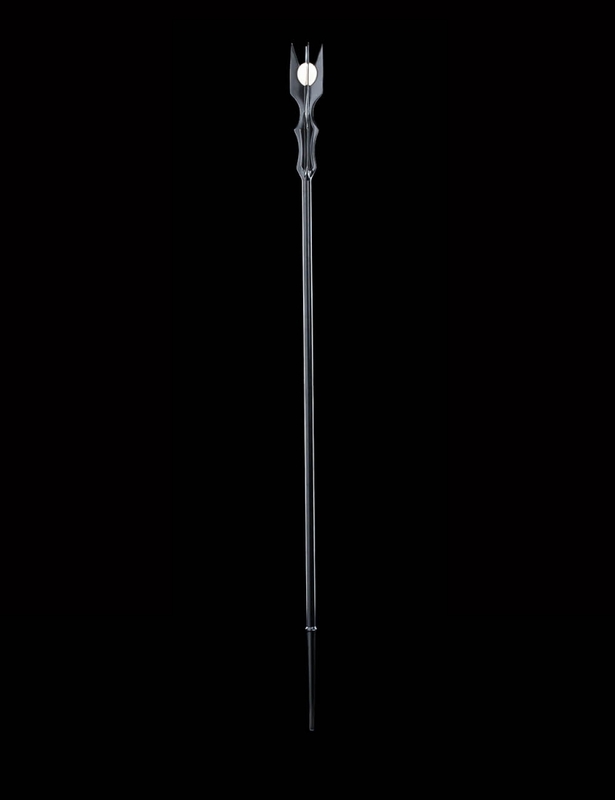 A rod of polished ebony as dark and gleaming as the midnight stone of the Tower of Orthanc itself, the staff of Saruman the White stands as tall, straight-backed and severe as its wielder. 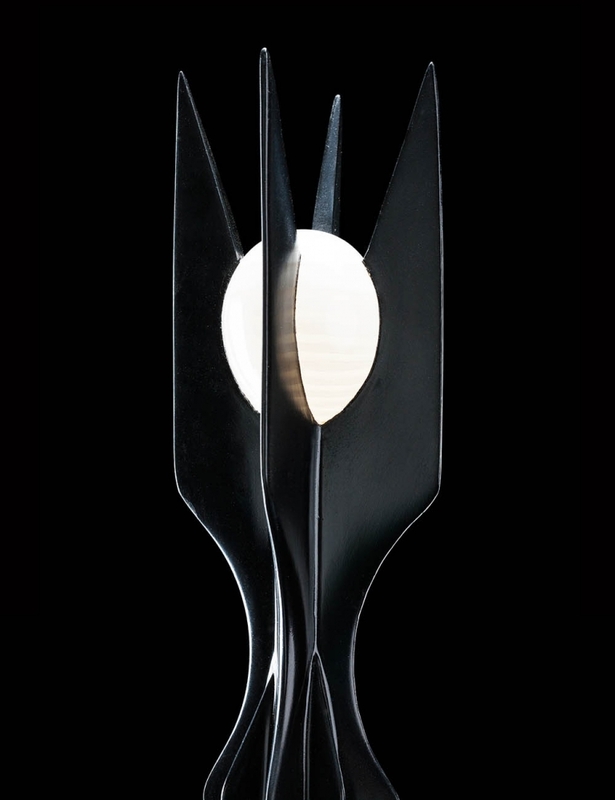 Sharp-edged and unyielding, in contrast to the twisted timber of his fellow Wizards' staves, Saruman's black staff holds a single orb of white stone amid four projecting fingers at its crown, recalling the four blades of Orthanc's pinnacle, where the first of the Order of Istari dwells. Here he contemplates the mysteries of ring lore and prophecy, studying the ways of the enemy, the better to know him and his powers. Saruman's staff was created for The Hobbit by the artists at the 3Foot7 Art Department. This authentic prop replica has been created from molds of the original weapon used in the films. Made from metal and "wizard-grade" urethane, your staff is delivered in a single piece and comes with a black metal bracket for display, pride of place, on your wall. We have chosen to present our collector's edition of Hobbit weapons in the same material used for the making of the film props, to exactly replicate the techniques and artistry used in the films. Staff of Saruman the White is a limited edition of 1,500 and includes a certificate of authenticity. Please note: images are of pre-production prototype. Each piece is painted by hand and variations will occur.